One of our favorites at Putnam Hill–a native groundcover that has it all. Urn-shaped white flowers in summer are followed by long-lasting, scarlet-red berries. 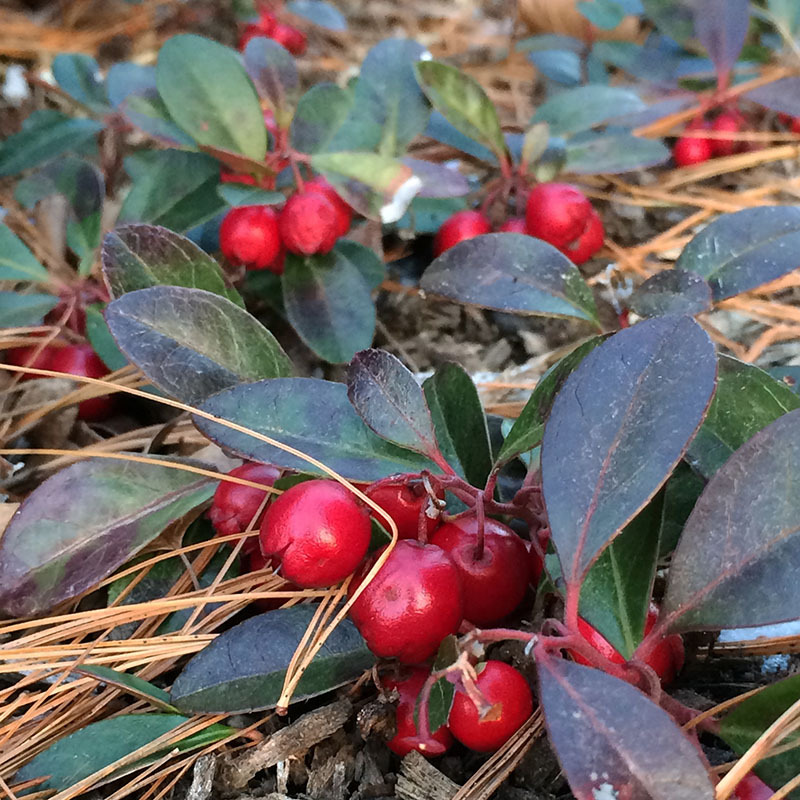 Evergreen, leathery leaves turn reddish in winter. All parts of the plant have wintergreen aroma and taste. A noninvasive groundcover that’s just as beautiful in your shade garden as in the woodlands of eastern North America. Full-part shade. Height 3-6”. Spread 6-12”. Acidic soils. Drought tolerant. Deer resistant. Zones 3-8.